The Concept Sphere range offers a hotel-chic style look with it's stylish and contemporary design. 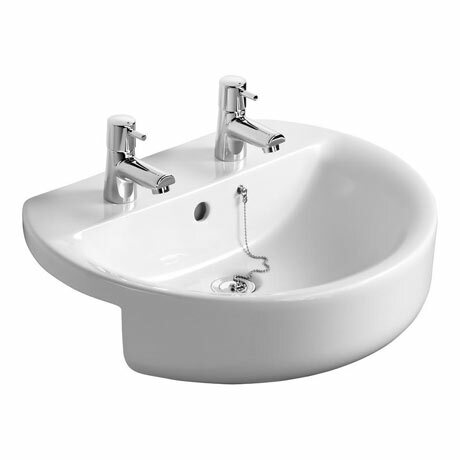 This semi countertop basin is manufactured using high quality fine fireclay and features two tap holes, built in overflow and chainstay hole. Dimensions: (W)550 x (D)465 x (H)170mm approx.